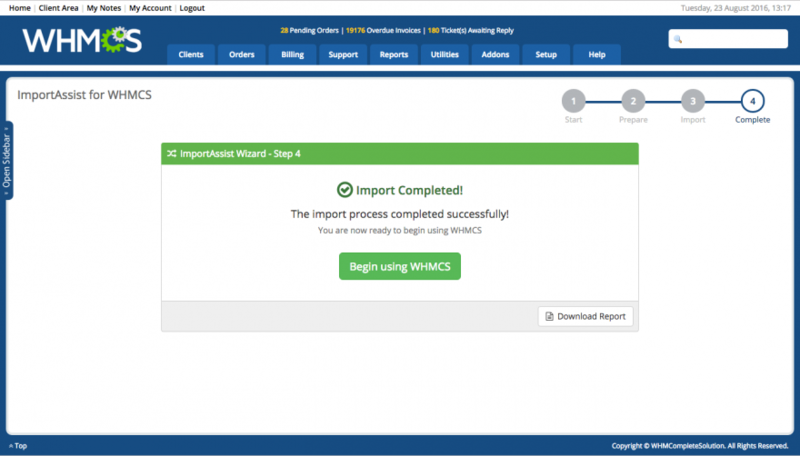 We take the hassle out of switching billing platforms with WHMCS ImportAssist. 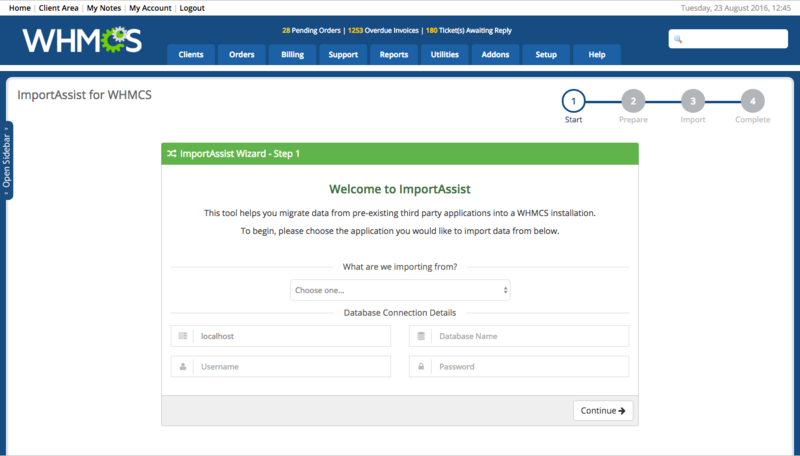 With WHMCS ImportAssist, you can import your data from a range of web based billing applications as well as migrating data from one WHMCS installation to another, allowing you to combine multiple installations into one. 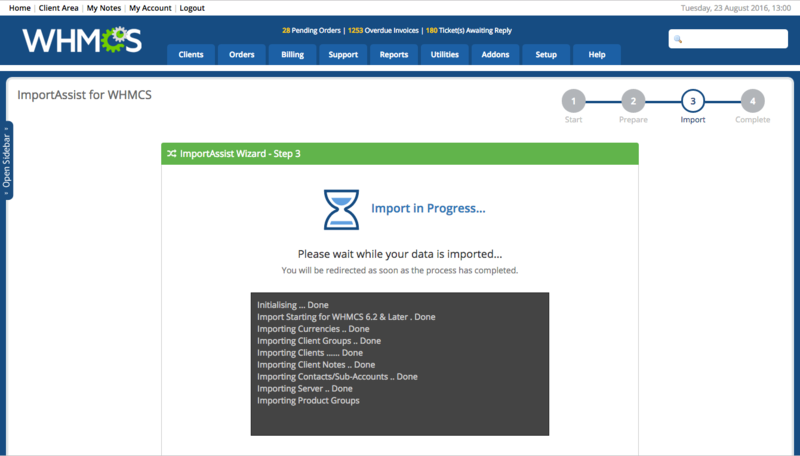 Through a simple wizard based process, WHMCS ImportAssist will guide you through the process of preparing for and migrating data to the WHMCS platform. While performing imports from versions of the software outside of those listed above may be possible, it is unsupported. 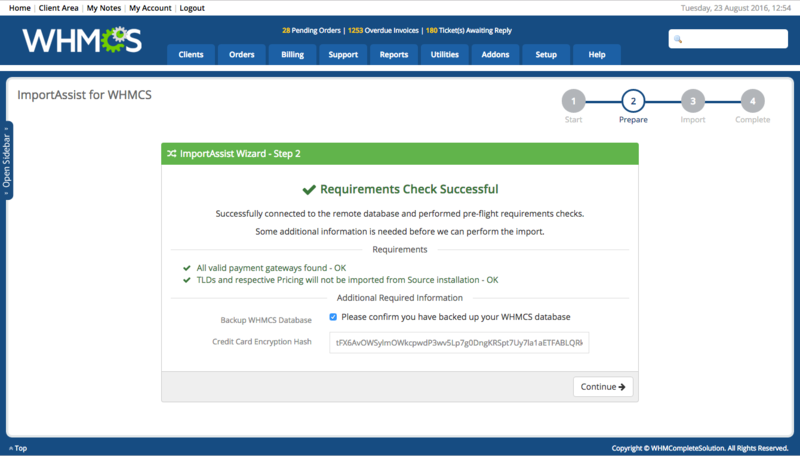 ImportAssist is available free of charge to all WHMCS license holders. Simply click the Get it Now button above to download and get started. Today I put a rating of 5 stars because this module works almost perfectly. Some defects such as the import of domain names, and some problems for customers, I have to refresh the page several times, but it to work in the final. I use WHMCS 7.5.1 on PHP 7.2, hope it will have an update that will allow me to import domains. Edit, Email History, Affiliate sign ups, Order Number and many things are missing after import. Blesta 4 is not currently listed as one of the supported scripts which ImportAssist can import. I'm pleased to advise support for Blesta 4 has now been added! IMPORT-5969 - Correct Server Importing. Add Gateway Reference. Import/export and synchronize accounts of external servers with your WHMCS automatically.